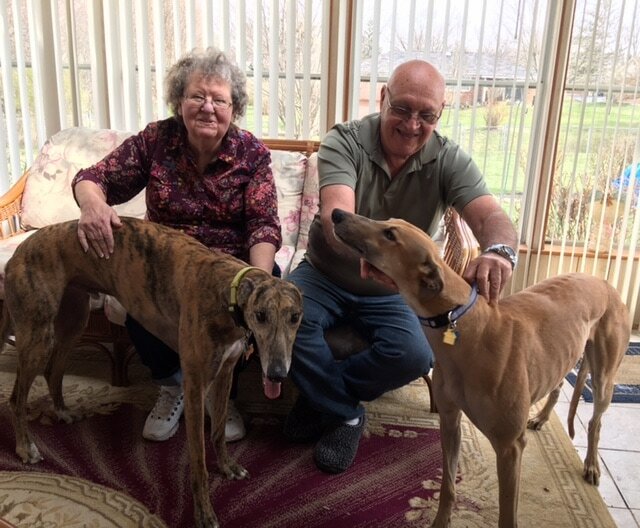 Superior Virtue has found a greyt home in West Chester with Shirley and Clyde. If they look familiar they adopted Zuko at the Fiehrer Valentine Event in February, Zuko wanted a friend and it was all about timing when Sadie needed a foster home. Clyde and Shirley agreed to foster Sadie, well she fit right in their family and now she is HOME!